Romelu Lukaku is certainly finding his way into the hearts of many a Manchester United supporters at the moment. Romelu Lukaku has endured a topsy-turvy first season at Old Trafford so far, having hit the ground running magnificently initially, only to suffer a massive dip in form midway through the season. However, it isn’t only his form that has been mixed this season – the same can be said about his relationship with United’s fan base. After his incredible start to the season, the Belgian was already winning a lot of admirers, and fans who had invested in jerseys with his name on the back seemed to be getting good value for their money. But things slowly started to turn sour once the former Chelsea and Everton striker ran out of luck in front of goal. Fans started to question his place in the team and the overall influence he was having on games. A number of them began to hit out at him for being nothing but a flat-track bully, following his blanks against most of the big clubs this season. During that rough patch, the few goals that Lukaku did score were met with muted celebrations from him, and many believed that this was a sign that he was hitting back at his critics. In recent weeks though, everything has changed in favour of the 24-year-old. The striker has rediscovered his finishing touch, and has been in brilliant form over the last two months. Along with that, every question that had come his way about his passion started being quashed one by one, and fans started to take notice of the emphatic way he started to celebrate every goal. Nemanja Matic’s last minute wonder-strike against Crystal Palace particularly stood out, with many fans and pundits heaping praise on to the striker for his passionate reaction to the belter. 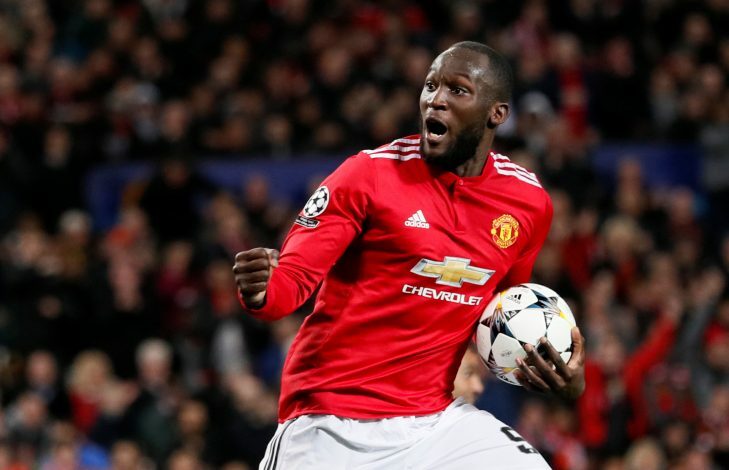 In United’s recent Champions League embarrassment at home to Sevilla, which saw them exit the competition, Lukaku was the only player who managed to emerge from the game with any sort of credit. Now, his latest actions have drawn even more praise from the United faithful. Mourinho’s men secured a comfortable 2-0 win over Brighton in the FA Cup, but a number of fans and the manager himself were left underwhelmed by the performances of certain individuals. However, after the game, Lukaku, who scored the opening goal of the clash, once again caught the eye of the fans. While all his team-mates had left the pitch, Lukaku stayed on and applauded the fans for their support, and was the last player to head to the dressing room.